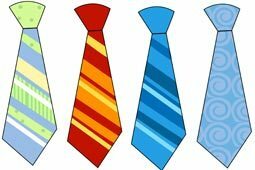 Which tie did you wear? ¿Q-- c------ t- p------? ¿Qué corbata te pusiste? Which car did you buy? ¿Q-- c---- t- h-- c-------? ¿Qué coche te has comprado? Which newspaper did you subscribe to? ¿A q-- p-------- t- h-- s-------? ¿A qué periódico te has suscrito? Who did you see? ¿A q---- h- v---- (u----)? ¿A quién ha visto (usted)? Who did you meet? ¿A q---- s- h- e--------- (u----)? ¿A quién se ha encontrado (usted)? Who did you recognize? ¿A q---- h- r--------- (u----)? ¿A quién ha reconocido (usted)? When did you get up? ¿A q-- h--- s- h- l-------- (u----)? ¿A qué hora se ha levantado (usted)? When did you start? ¿A q-- h--- h- e------- (u----)? ¿A qué hora ha empezado (usted)? When did you finish? ¿A q-- h--- h- t--------? ¿A qué hora ha terminado? Why did you wake up? ¿P-- q-- s- h- d--------- (u----)? ¿Por qué se ha despertado (usted)? Why did you become a teacher? ¿P-- q-- s- h--- (u----) m------? ¿Por qué se hizo (usted) maestro? Why did you take a taxi? ¿P-- q-- h- c----- / t----- (a-.) (u----) u- t---? ¿Por qué ha cogido / tomado (am.) (usted) un taxi? Where did you come from? ¿D- d---- h- v----- (u----)? ¿De dónde ha venido (usted)? Where did you go? ¿A d---- h- i-- (u----)? ¿A dónde ha ido (usted)? Where were you? ¿D---- h- e----- (u----)? ¿Dónde ha estado (usted)? Who did you help? ¿A q---- h-- a------? ¿A quién has ayudado? Who did you write to? ¿A q---- l- h-- e------? ¿A quién le has escrito? Who did you reply to? ¿A q---- l- h-- r--------- / c---------? ¿A quién le has respondido / contestado? People who speak two languages hear better. They can distinguish between different sounds more accurately. An American study has come to this conclusion. Researchers tested several teenagers. Part of the test subjects grew up bilingual. These teenagers spoke English and Spanish. The other part of the subjects only spoke English. The young people had to listen to a particular syllable. It was the syllable "da". It didn't belong to either of the languages. The syllable was played for the test subjects using headphones. At the same time, their brain activity was measured with electrodes. After this test the teenagers had to listen to the syllable again.